The San Francisco Giants will finish off their six game homestand this weekend with three games against the Colorado Rockies. The Rockies are in last place in the NL West with an 8-12 record, and are beginning a five game road trip out West. The Giants are 10-10 and are only three games behind the Dodgers. The Giants are playing very well at home this season and have an 8-3 record at AT&T Park. The Rockies have a 4-7 road record. Colorado will be sending Ubaldo Jimenez to the mound to start the series Friday night against 45-year-old Randy Johnson. Jimenez has a 1-3 record with a 7.58 ERA while Johnson is 1-2 with a 6.16 ERA. Johnson has been prone to the long ball this season and has given up five homers already this season. On the other hand, Jimenez has not given up a single homer in four starts. Jimenez has a high ERA because he got rocked by the Dodgers in his last two starts. Johnson is coming off a start against the Diamondbacks where he only lasted 3.1 innings and walked seven batters. Johnson's ERA at home is 3.00 though and he has had tremendous success in his career against the Rockies. Johnson has a career lifetime record of 18-7 with a 2.31 ERA against the Rockies. Jimenez has a lot of talent but he has had too many control problems in the past. In his last three games pitched, he has issued more walks than strikeouts. Saturday's game will be a match-up between Jason Marquis and Matt Cain. Cain is having a great year so far with a 2-0 record and a 2.08 ERA. Marquis is 3-1 with a 4.10 ERA. Sunday's match-up is between Jason Hammel and Barry Zito. Zito has pitched better in his last two starts, but he is still winless. He has a good chance of getting his first win on Sunday since he has had pretty good numbers against most of the Rockies' batters. The player to watch for on the Rockies is OF Dexter Fowler. Fowler is a speedster who stole five bases in a recent game. He is batting .290 with two homers and seven RBIs. He is the leadoff batter for Colorado and he can wreak havoc on the basepaths so he will be a big key in this series. The player to watch for on the Giants will be 3B/C Pablo Sandoval. Sandoval will be playing third base for the first two games, and probably will behind the plate for Sunday's game when Zito pitches. Zito has pitched a lot better with Sandoval as his catcher than when starting catcher, Bengie Molina, is behind the plate. Sandoval struggled to hit to start the season but he seems to be heating up. He has eight hits in his last 18 at-bats. It should be a very competitive series and there could be a lot of pitching duels. Expect the bullpens to be a big factor in who wins the games this weekend. The first game will be a night game and the weekend games will be both played in the afternoon. Who will win this weekend series? Strikeforce lightweight champion, Josh "The Punk" Thomson interviewed UFC heavyweight contender, Cain Velasquez, last night at the AKA gym. 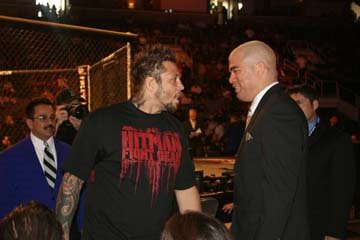 Velasquez is slated to fight Heath Herring June 13 in Germany at UFC 99. The Giants have split the first two games against the first place Dodgers, but they have a good chance of winning the series tonight with Tim Lincecum on the mound. Eric Stults, a lefty, will start for the Dodgers. It will be interesting to see if Travis Ishikawa starts tonight at first base. Stults does better against right-handed hitters than left-handed hitters but Bruce Bochy started Rich Aurilia over Ishikawa earlier this year against Stults. Left-handed hitters are hitting .333 against Stults while right-handed hitters are batting .255. Bob Howry was a terrible pick-up by GM Brian Sabean. Howry is now 0-2 with a 4.32 ERA after taking the loss last night against the Dodgers. Howry could be this year's version of Tyler Walker. Bochy should have Brandon Medders or Justin Miller take Howry's spot as the seventh or eighth inning reliever before Howry blows more games. I have no idea why Eugenio Velez is on this team. He does not play good defense or hit for power. His biggest strength is his speed but he has no steals yet. He is currently batting .143. It is hard to steal bases when you can't get on base. I would much rather see Kevin Frandsen in the majors than Velez. Is it also time to cut Juan Uribe as well? Uribe had some good years with the White Sox but has been unproductive in the National League so far. It still might be early but I don't like what I see from Uribe. The San Francisco Giants are 8-9 and have played a lot better since starting the season 2-7. Travis Ishikawa is just not producing in the majors. His .191 batting average is terrible and he has no homers as well. I believe the Giants should send him down to Fresno and bring up John Bowker. Bowker is hitting .300 in Fresno with a homer and seven RBIs. He is more of a threat to hit the ball out of the ballpark than Ishikawa. The team should still fire Bruce Bochy and hire Ron Wotus as interim manager for the rest of the year. Bochy does not have confidence in any of his young batters. He hardly ever plays OFs Nate Schierholtz or Andres Torres. When a lefty is starting, Bochy will always bench Ishikawa and start Rich Aurilia. The Dodgers' pitcher Eric Stults is a lefty who pitches better against righties than lefties but Bochy still started Aurilia over Ishikawa last week when Stults pitched against the Giants. Either Bochy is stubborn or did not know that Stults has more trouble against lefties. Bochy had Brandon Medders pitch in extra innings yesterday and Medders pitched well until Bochy made Medders go out for a third inning. That was just too much to ask out of Medders and Bochy finally took him out when Arizona had the bases loaded with just one out. Stupid decisions like this makes fans hate Bochy more and more. You can find Barry Zito on Twitter at http://twitter.com/barryzito and Brian Wilson at http://twitter.com/brianwilson38. Zito had a rough game against the Dodgers in Los Angeles but he will try to pitch better tonight against the Dodgers at home. The Giants have a good chance to win tonight as the Dodgers are sending out Randy Wolf. The Dodgers will have Chad Billingsley starting tomorrow night and he is 4-0 and dominated the G-Men last time out with 11 strikeouts. Another player that is struggling and making a lot of bonehead plays on the basepaths is Emmanuel Burriss. Burriss is batting .179 with only three RBIs. Let's bring Kevin Frandsen up and send Burriss down to Fresno. Greinke is 4-0 with a 0.00 ERA. Four starts and no earned runs given up yet. Greinke is the most dominant pitcher in the majors right now but he plays for the Royals so not a lot of fans know about him or how good he is. Billingsley is also 4-0 with a 2.05 ERA. He has pitched at least six innings in each of his four starts and is coming off a dominating pitching performance against the Astros last week. His next game will be Tuesday against the woeful Giants offense. Billingsley struck out 11 Giants in a game earlier this season. Santana is 3-1 with a 0.70 ERA. The Mets are struggling this year but they know they have a good chance to win when Santana is on the mound. Hernandez is 3-0 with a 3.12 ERA and is coming off an impressive start against the Rays. He pitched seven scoreless innings in that game and struck out seven. He is fourth in the AL in strikeouts with 27. Bedard is 2-1 with a 2.08 ERA for the Mariners, and is ranked third in strikeouts in the AL with 29. He is holding left-handed hitters to a .174 batting average. Some other pitchers that I did not include in this list but are worthy candidates include Giants pitcher Matt Cain, and Reds pitcher Aaron Harang. D Wizzle's World had a chance to talk briefly with NFL Draft prospect, Joel Bell, a few days ago. 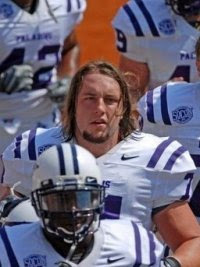 Bell was an outstanding offensive lineman for the Furman Paladins for four years. He is 6-7 and 315 pounds. How's it going Joel? Are you excited or nervous about the draft this weekend? It's going well. I'm mainly just excited, and ready to go somewhere. Where and what will you be doing this weekend? Do you plan on watching the draft on TV? I'll be watching it with my parents at home. I'm not really sure if I'm gonna really watch it very closely. Have you talked to any current NFL player about the draft process or the rigors of the NFL? I've talked to my buddy, Landon Cohen, from high school. He plays DL for the Lions. What do you think you will miss most about being a Furman Paladin? Growing up, did you have a favorite football player? Probably Deion Sanders just because i loved the Cowboys and he was the man. You lived in Croatia and Egypt when you were younger. What kind of experience was that like for you? I think it was overall a positive one. The one negative was that i wasn't able to play football from a young age. Do you pattern yourself after any current or past NFL offensive linemen? No, but I do like to watch NFL left tackles and try to copy some of their techniques. Here is a list of the top ten most disappointing players so far in the majors. Sabathia has been less than impressive so far with the Yankees. He has had control problems and has walked 14 batters in four starts. His ERA is currently 4.81. Holliday was supposed to help the A's generate more homers this season but he has zero homers so far and only 9 RBIs. Rollins is batting .179 with one homer and four RBIs. Hamels has been injured but his ERA after two starts is 11.17. He gave up three homers in his last start against the Padres. Hamilton is struggling with only one homer and nine RBIs. His average is also only at.226. Lee is only batting .222 with one homer and nine RBis. Verlander was supposed to rebound from a terrible 2008 season but his ERA after tonight is 9.00 after giving up seven runs to the Angels this evening. Your third place hitter should not be batting under .200 with only two RBIs for the season. Fielder is batting .170 with just one home run and seven RBIs. Peavy is 2-2 but has a 5.13 ERA. He has given up a homer in three of his four starts. This is ridiculous. The reason she got the job was because of her cleavage and now she tries to hide them and turns into a prude? The Florida Marlins may have gotten off to a 11-1 start but they do not impress me at all. The media has given them too much credit just because they got off to a good start. They have lost their last two games and are now 11-3. The Marlins got off to a great start mainly because they played the lowly Washington Nationals six times already. They have now come back down to earth and are in danger of getting swept by the Pirates today. The Marlins will have a tougher schedule after today as they will play the Phillies, Mets, and Cubs next. Matt Holliday of the A's has gotten off to a terrible start with his new team. He is batting .265 with zero homers. Did playing his home games at Coors Field play a factor in his stats the last few years in Colorado? If he continues to struggle like this, GM Billy Beane will have a hard time trading him in the summer. The A's only have four homers this season. Their offense was supposed to be better this season but it has been terribly ineffective. Jason Giambi is batting .229 with zero homers. Giambi's former team, the Yankees, are also struggling. They really miss Alex Rodriguez's bat. Cody Ransom has replaced A-Rod at third base but he is batting .159. The Dodgers have the best lineup from top to bottom in the NL. Giants fans were chanting for Manny yesterday but not for Manny Ramirez but for Manny Pacquiao, the boxing champion and superstar. He was there at the ballpark last night to throw out the first pitch to another Filipino, Tim Lincecum. It was Filipino Heritage Night last night in San Francisco. Carlos Quentin of the White Sox is leading the majors in homers with seven. The Royals might have a Cy Young candidate in Zack Greinke who is 3-0 with a 0.00 ERA. The Mariners are in first place in the AL West but they don't have much offense. They miss the bat of Raul Ibanez who is now with the Phillies. 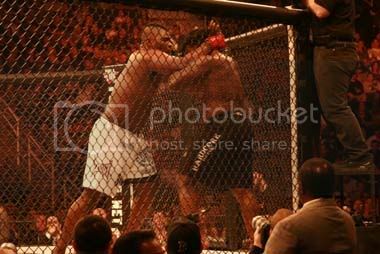 UFC 97 was one of the worst shows on pay-per-view that I have ever seen. The only fight that I was looking forward to watching was the Chuck Liddell vs. Shogun Rua bout which did not disappoint. I did not care for the rest of the card. Who buys a pay-per-view to watch former WEC fighters like Brian Stann and Steve Cantwell in the Octagon? Why were they even on the main card? Fans who watched the pay-per-view to see Anderson Silva deliver a knockout to Thales Leites were truly disappointed as the title fight went five rounds without much action. The crowd at the Bell Centre in Montreal were booing during the whole fight. This match-up was a mismatch to begin with and should never even have been booked. Fans and Dana White are blaming the UFC middleweight champion for not being aggressive enough, but maybe the fans and White should blame another Silva instead. 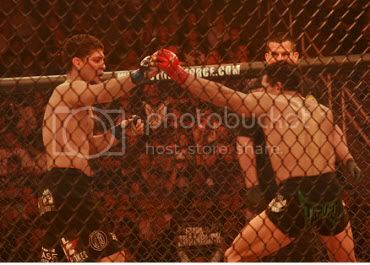 Why did Joe Silva, UFC's matchmaker, sign this fight? 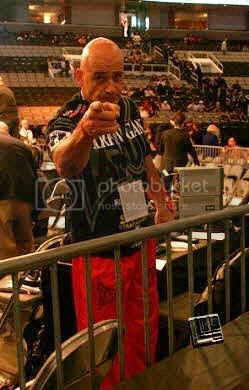 No one gave Leites a shot at winning, and there were other fighters more deserving of a title shot such as Yushin Okami. Okami has already defeated Silva once already, and it would be interesting to see a rematch between the two. Okami won by disqualification due to an illegal kick by Silva. 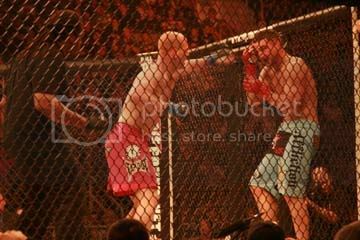 None of the other matches were all that great on Saturday night besides the Liddell vs. Rua battle. 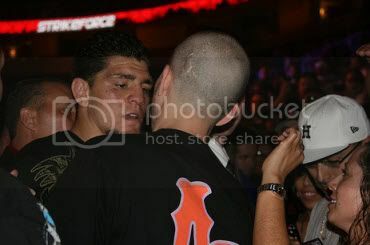 I was more entertained by the Shamrock vs. Diaz event that Strikeforce held a week ago. The UFC and White can apologize to the fans, but they should lower the price of the pay-per-view shows instead. Most of their shows are not worth $39.99 at all. Fans are wishing they could have had a refund after Saturday night's horrendous show. 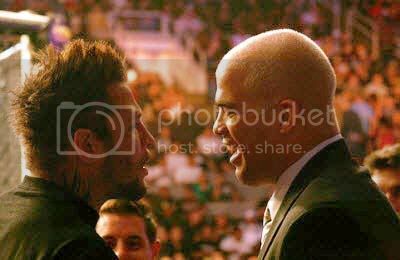 Let's hope UFC 98 will be better but I am not counting on it. The main event could be another boring affair when Rashad Evans takes on Lyoto Machida. The undercard is very underwhelming as well, but I am looking forward to watching the Matt Serra vs. Matt Hughes grudge match. 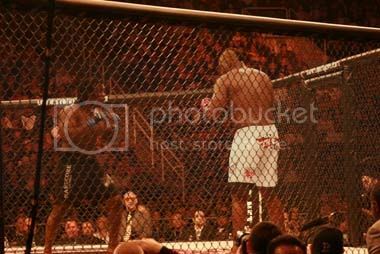 UFC 97 was a big letdown to a lot of fans, and the pay-per-views are getting more expensive and less entertaining. First match is underway on the main card. Steve Cantwell vs. Luiz Cane. This should be a good fight. 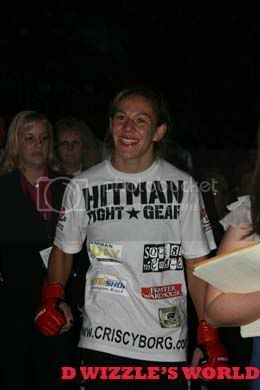 Cantwell is a former fighter from the WEC. 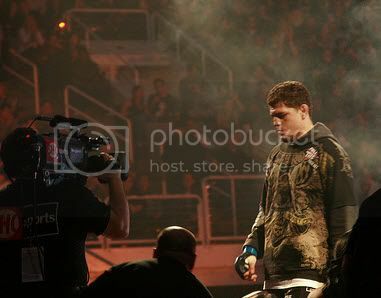 He defeated Brian Stann in his last fight in the WEC. 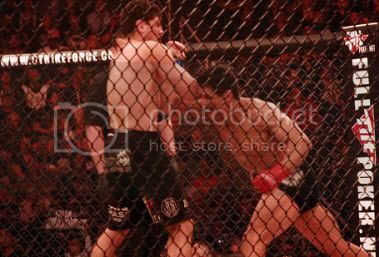 Mario Yamasaki is the ref. We are going to the second round now. I would give the first round to Cane 10-9. It was a stand-up fight for the whole first round. This fight looks like it might go the distance. We are going to the third round now. Cantwell wins the second round by being more aggressive and landing more combinations. Mike Goldberg, the UFC play by play guy, said we should look for an uppercut by Cane with about two minutes left in the second round. And of course, the uppercut never came. Cantwell's corner keeps on telling him to back up Cane. This fight does go the distance was a stand-up war. The judges will probably give the decision to Cane by unanimous decision. Cane landed a lot of nice knees and combinations in the last round. Cane does win by unanimous decision. Yoshihiro Akiyama is in attendence tonight. I don't think the crowd in Montreal knows who he is. Akiyama will be making his UFC debut against Alan Belcher in a future PPV. The next fight now will be Antoni Hardonk vs. Cheick Kongo. This is a battle of heavyweights. You can expect another stand-up war in this one. I would give the advantage to Kongo here. 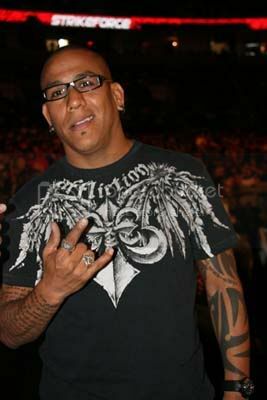 Kongo is a legitimate title contender if he wins tonight. Both men are 6'4 and 33 years old. Kongo is tentative to start out the first round. Kongo had Hardonk against the cage and took him down. It looks like we will see a second round. This is a very slow-paced first round but what do you expect from two big heavyweights? Kongo has Hardonk on the mat now. The fight is now over as Kongo wins by TKO. I missed the ending to this fight as I lost my feed for a minute. The third match of the night is now underway. I can't spell this guy's name but I will try. Kristoff Szyonski vs. Brian Stann. Should be another stand-up battle. I am not interested in this fight at all. I think most fans just want to see the Liddell/Rua and Silva/Leites fights. Syzonski wins by kimura in the first round. We will probably see a taped prelim fight now before we have the Liddell vs. Rua fight. We are not going to see a prelim fight now. They are going to have the co-main event right now! Yamasaki is the ref. Rua just entered the cage. Here comes The Iceman. I predict a win for Liddell. If he loses, I hope no one asks him to retire. 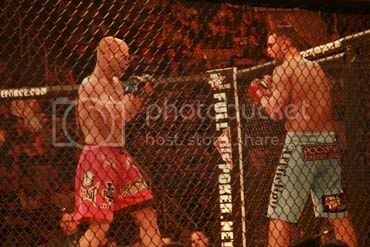 Liddell does lose by TKO as Yamasaki stops the fight after a left hook floored Liddell and Rua rocked him with punches from the top. Rogan asks if Liddell will retire and Liddell says he is not sure. He did not have much of an explanation for the loss and said that not everything was firing tonight. 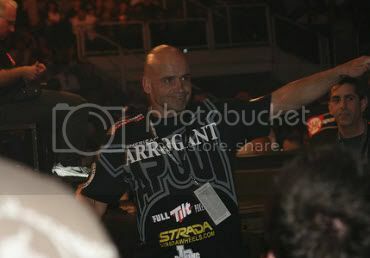 Liddell did look good until he got knocked out. He even took down Rua with under a minute left. Liddell should fight someone not in the top 10 and get an easy win to get his confidence back. Next fight is Sam Stout vs. Matt Wiman. This should be a stand-up war! Stout wins by unanimous decision. The main event ended after five rounds of boredom. Anderson Silva retains his UFC middleweight title against Thales Leites. Was Leites even a worthy challenger? The UFC refuses to give Yushin Okami a title shot. This card tonight was just horrific. That's all for tonight folks. I know a lot of people who used Justin.tv to watch sports and hot girls on webcams and other forms of entertainment on that site. The NFL games used to always be on Justin.tv as well along with WWE wrestling. This will be updated throughout the day. The Dodgers defeated the Giants 5-4 tonight. Bruce Bochy should be fired as the manager of the Giants. This guy is a horrible manager and should never have been hired. Bochy kept reliever Jeremy Affeldt in the game to start the eighth inning after he pitched a scoreless seventh inning. Affeldt gives up a base hit to the first batter in the inning and then gets the hook. Bochy puts in Bob Howry to replace Affeldt who gives up a double to his first batter. Howry struggles the whole inning but only gives up two runs in the eighth. Dodgers do tie up the game at four. Instead of bringing in his closer in the ninth inning, Bochy kept Howry on the mound and Howry finally leaves after the Dodgers load the bases with no outs. Wilson comes on with the bases loaded and no outs and gets one out on a Russell Martin grounder but walks in James Loney for the winning run. Howry struggled in the eighth inning and should have been yanked after that but Bochy kept him in. Giants fans are sick of Bochy's stupid decisions. Matt Cain did well in giving up only two runs in six innings. He struggled with his command all game long and had four walks. James Loney is a very patient hitter. The Dodgers lineup is stacked with great hitters. This is a very dangerous offensive team. Dodgers starter Clayton Kershaw looked like Cy Young tonight. He struck out 13 batters tonight. The Giants are a terrible team. Why did they keep Emmanuel Burriss and send Kevin Frandsen to the minors? What a stupid move. Fred Lewis struck out four straight times. He is not a number three hitter. This team will have trouble scoring since they are not a home run hitting team. Can Barry Zito be the savior tomorrow for the Giants? The Giants have started off slowly, and the fans in the Bay Area are already worried and giving up on the season. But they should not give up just yet. We are only seven games into the season, and we have to remember that the baseball season is not a sprint but a marathon. Look at who is in first place right now in the standings. You have teams such as the Royals, Padres, Mariners, and Orioles atop the standings. No one expects these teams to be close to contention in their division a few months from now. The Giants have a lot of young hitters in their lineup and they will get better as the season goes along. You can tell that they are being too aggressive right now as the team has not had a walk in three straight games. Tim Lincecum will not struggle as much as he has the first two starts, and Barry Zito will win some games. Tonight would be a good night to get a win with Matt Cain on the mound. Cain looked great in his first start against the Brewers. Clayton Kershaw will be the opposing pitcher tonight in Los Angeles. Kershaw is a 21-year-old youngster who has a great curveball. The problem he has is that he often throws too many pitches in an inning. Look for the Giants to be able to get at least one walk tonight off of Kershaw. Tonight's game is very winnable for the Giants. If the Giants do win, they can win the series tomorrow with Zito on the mound. It is now how you start but how you finish and this season is far from over. In Order of Appearance: Ryan Bader, Tito Ortiz, Babalu, Brett Rogers, Cyborg Santos, Josh Thomson and Jake Shields, Royce Gracie, Jake Shields again, Tapout's Syscrape, and Nick Diaz. Thanks to Mario from Team Thomson for this. 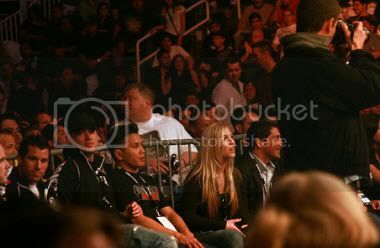 This past Saturday April 11, 2009, Strikeforce returned to the HP Pavilion in San Jose CA, where Josh "The Punk" Thomson (16-2) was sitting ringside, observing the match between Gilbert "El Nino" Melendez (15-2) and Rodrigo Damm (8-3). Melendez recorded a spectacular second round knockout over Damm, becoming the Interim Strikeforce Lightweight Champion and will now face Thomson in a rematch. Thomson, who currently holds the Strikeforce Lightweight title, was scheduled to fight Melendez, but had to pull out due to a broken leg he suffered during sparring. When asked about Melendez's performance against Damm Josh stated, "I thought Gilbert came out and showed everyone that he is an elite fighter in the lightweight division. His power was evident and it showed when he landed that right hand on Damm's chin. There's no question, if I had been healthy it would have been a very difficult fight for me. Melendez is always in great shape, but I saw something in his eyes this fight, that made me think he was on another level. As soon as I get healthy, I'll be ready to give him the rematch he deserves." 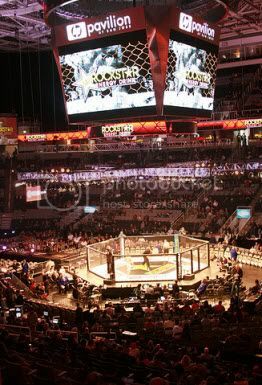 Strikeforce's attendance at the HP Pavilion attained an astonishing 15,211 people and was viewed by millions watching on Showtime Sports. In addition the gate generated roughly $750,000. 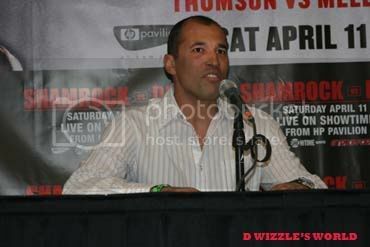 "As I've mentioned in past interviews, there's no better venue to fight at than the HP Pavilion," said Thomson. "The fans in the Bay Area bring energy and excitement that isn't felt anywhere else. 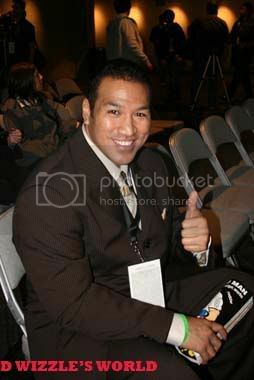 MMA will continue to grow, be vibrant in San Jose and Strikeforce will be the driving force behind that movement. I'm anxious to get healthy and defend my title against Melendez." UFC Fighter, Anthony "Rumble" Johnson,talks with Ariel Helwani from Jarrypark.com and VERSUS network about John Howard, Matt Brown, Josh Barnett, and more. 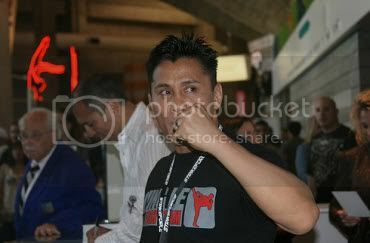 This interview took place last Friday at the HP Pavilion during the Shamrock Vs. Diaz weigh-ins. 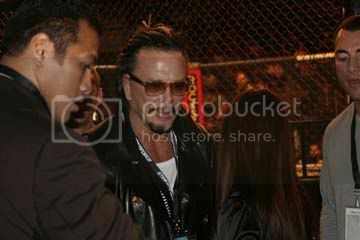 Strikeforce's debut show on Showtime was a huge success. 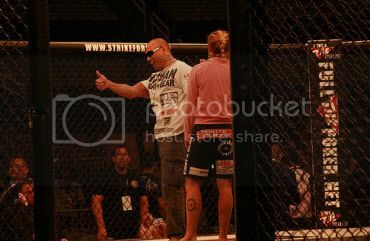 Fans were raving about the exciting finishes they saw and possible fights for future Strikeforce shows. 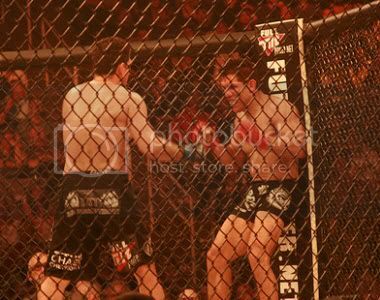 The majority of fans inside HP Pavilion were rooting for Frank Shamrock to beat Nick Diaz in the main event, but Diaz was able to pull off the upset. 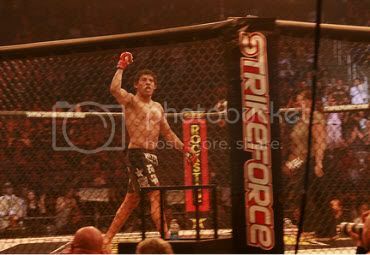 If Shamrock had won, he probably would have been on his way to a rematch for the Strikeforce middleweight title against Cung Le. 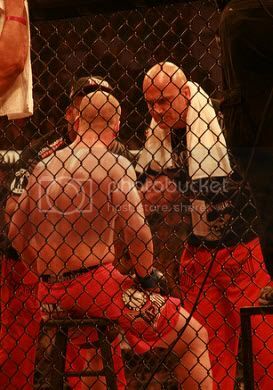 Le, like most, anticipated a Shamrock victory and was expecting Shamrock to call him out after the fight. 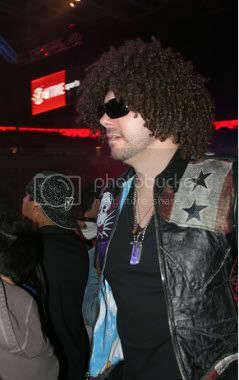 Thanks to Shamrock's defeat, Strikeforce has to go in another direction and find another challenger for Le. 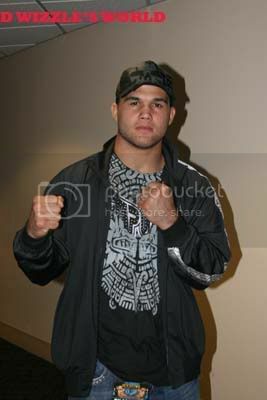 The likely challenger for Le now would be "Ruthless" Robbie Lawler; however, Lawler is scheduled to fight Jake Shields in June. 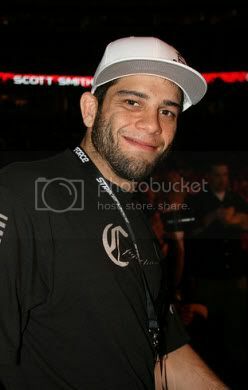 If Lawler were to lose to Shields, Strikeforce may then give Scott Smith a shot against Le. Their other alternative would be Kazuo Misaki. Both Smith and Misaki are very worthy opponents for Le, but a fight with Smith would be more marketable to fans in America, who have not seen enough of Misaki. For now, it appears that a matchup between Lawler and Le is looming. When asked, in a recent interview, about a possible fight with Lawler, Le said, "I think that would be a fantastic fight for the fans." 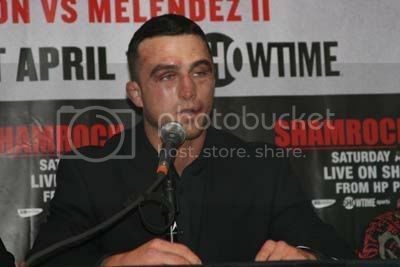 After beating Phil Baroni in June of '07, Shamrock has now lost his last two fights. 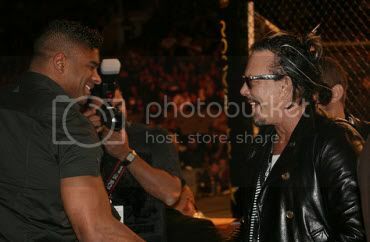 Shamrock could now face his brother Ken or fight another catch-weight bout against Strikeforce lightweight champion Josh "The Punk" Thomson. Thomson, who dislikes Shamrock, has been wanting this fight for a long time. There have been talks in the past about matching these two up, and this fight would do well in San Jose. However, before looking ahead to a possible meeting with Shamrock, Thomson will first have to defend his title against former champion Gilbert Melendez. This rematch will probably happen in the summer. Besides losing a rematch with Le, Shamrock also won't see the big-money fight with Tito Ortiz that both men were planning to have in the future. Ortiz has said that his back pain is gone after his surgery, and he is ready to get back in the cage soon. If he signs with Strikeforce, he stated that he would like to have a tune-up fight before he takes on Strikeforce light-heavyweight champion, Renato "Babalu" Sobral. But by the time Ortiz is ready to fight again, Babalu may not even have the light-heavyweight belt around his waist anymore: Babalu will be defending his title against Rafael "Feijao" Cavalcante in June. 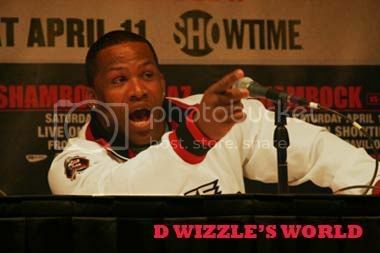 Strikeforce just signed Kevin Randleman, and he could be a great opponent for Ortiz. Randleman and Ortiz are two fighters that know how to sell a fight and entertain the fans, both in the cage and behind a microphone. A more realistic opponent for Randleman's Strikeforce debut could be former Strikeforce light-heavyweight champion Bobby Southworth. 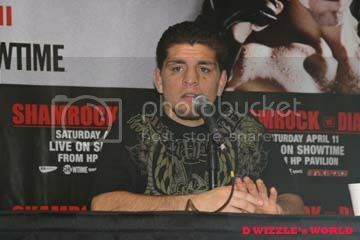 As for Diaz, he looked great against Shamrock, and we now might be able to see a rematch between Diaz and Joe Riggs. 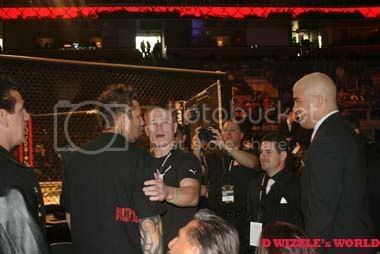 They fought once in the UFC, when Riggs bested Diaz by decision. Their brawl even resumed in the hospital after the fight. Another intriguing matchup for Diaz would be Phil Baroni. Can you imagine the heat and trash talk between those two fighters building up to their fight? Other fighters that were impressive on Strikeforce's Showtime debut were Cyborg Santos, Brett Rogers, Raul Castillo, and Eric Lawson. Cyborg easily dismantled the much smaller Hitomi Akano and tossed her around the cage like a rag doll. 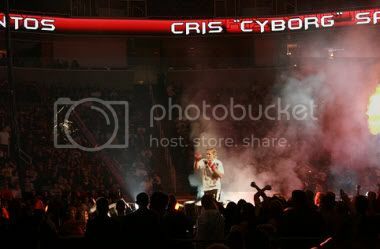 After her easy victory, Cyborg said, "I really think it's time for me to fight Gina Carano, but I am not rushing it. I want to prove that I can beat Gina." If Carano signs with Strikeforce soon, they could have the top two female fighters in MMA battling it out in August for a title belt. 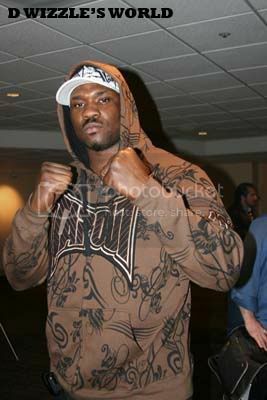 After dispatching Abongo Humphrey, Brett Rogers wants to fight the Strikeforce heavyweight champion, Alistair Overeem. But Rogers might have to wait for a title shot, as there was a hint of a Fabricio Werdum vs. Overeem rematch when Werdum got up in the post-fight press conference and said he was ready for the opportunity to fight Overeem again. 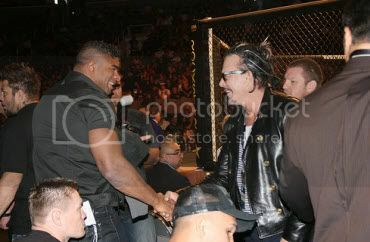 Overeem replied to Werdum by saying, "Fine by me. Anytime. Actually, I can't wait to get my hands on you again." These two heavyweights fought in 2006, with Werdum winning by kimura in the second round. 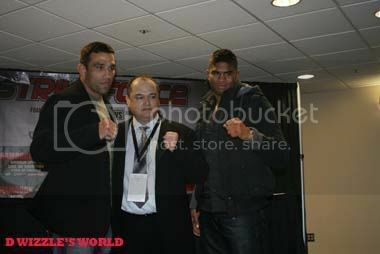 Werdum first has to sign a contract with Strikeforce before he can fight Overeem again. 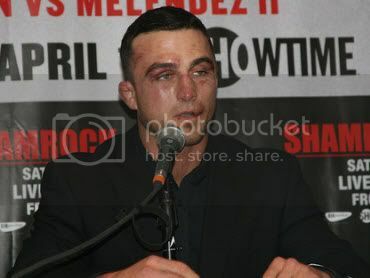 A fight between Rogers and Paul "The Headhunter" Buentello could be another possibility. This would be a great slugfest, and one of these two men would be bound to get knocked out. Castillo and Lawson were very impressive in their undercard fights, and both won by TKO. It would be interesting to see these two collide next. Thanks to an influx of talent from the now defunct EliteXC, Strikeforce has a lot of depth on their roster. They have a lot of options now, in terms of matchmaking, and they probably plan to expand their talent base by signing more fighters from both domestically and overseas. In the past, it was hard to find quality opponents for some of their champions to defend their titles against, but that is no longer the case. 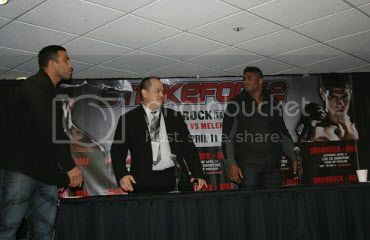 MMA fans should be very excited about the future of Strikeforce and their upcoming fights, both this year and beyond.